Is this for a Boy or Girl? These are designed and made by us to meet all your requirements. 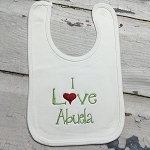 Not only do they make a unique bib they become a treasured keepsake once we personalize it with an Applique Letter or your Little One's Name. What a cool way to keep your babies outfits dry while teething, and with a modern look too. These are made with a layer of terry cloth or matching flannel and a pretty patterned cotton. These have a Velcro backing to make it easy to put on and take off! 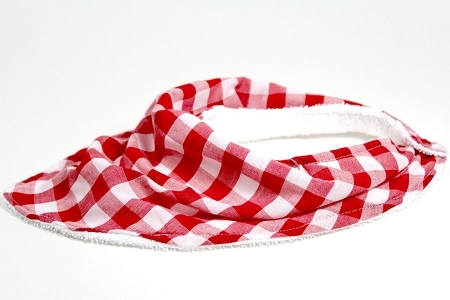 Absorbent and versatile drool bibs will keep clothes from getting soggy with while your little one cuts teeth. 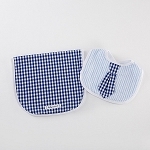 After those pesky teeth come in, keep your little one looking classy by using your bib as a great accessory to every outfit! These are made to order. Once processed they cannot be returned.